This product is electronic and can be accessed after purchase at NSCA.com under My Account in the Digital Content Access tab. It can be downloaded twice and printed for your personal use within one year from purchase date.. It may not be altered, copied, distributed, sold or shared. 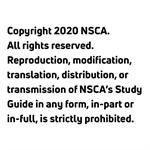 If you are purchasing for another individual or multiple individuals, please contact us at products@nsca.com so that the order(s) can be created for you. Please review restrictions for online items. The purpose of this booklet is to assist those preparing for the Certified Special Population Specialist® (CSPS®) exam by describing the content, scope, and distribution of the exam questions. This comprehensive information emerges from what is called the CSPS Examination Detailed Content Outline (DCO) and was derived form a nationwide job analysis study of fitness professionals. It is this outline that the CSPS Exam Development Committee refers to when creating questions for the CSPS exam. Any concept not addressed on the DCO will not be included on the exam; conversely, any concept listed in the DCO is a potential content area to test a candidate's knowledge. 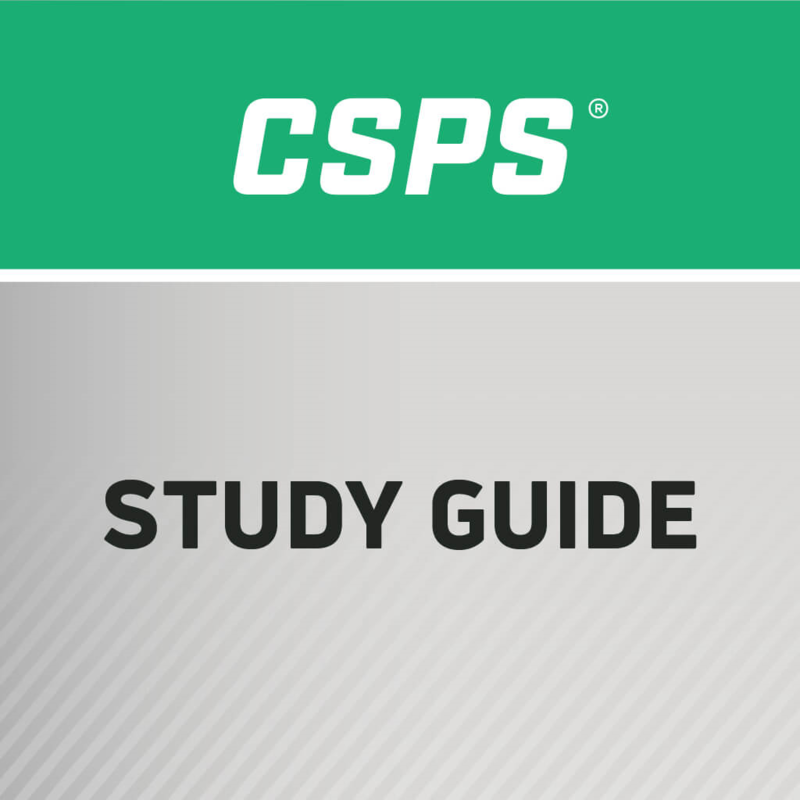 In addition to the description of CSPS exam content, this booklet includes study questions that will assist prospective exam candidates to determine their level of preparedness. If further review in one or more content areas is needed, a comprehensive list of references and other study resources is provided at the end of this booklet.